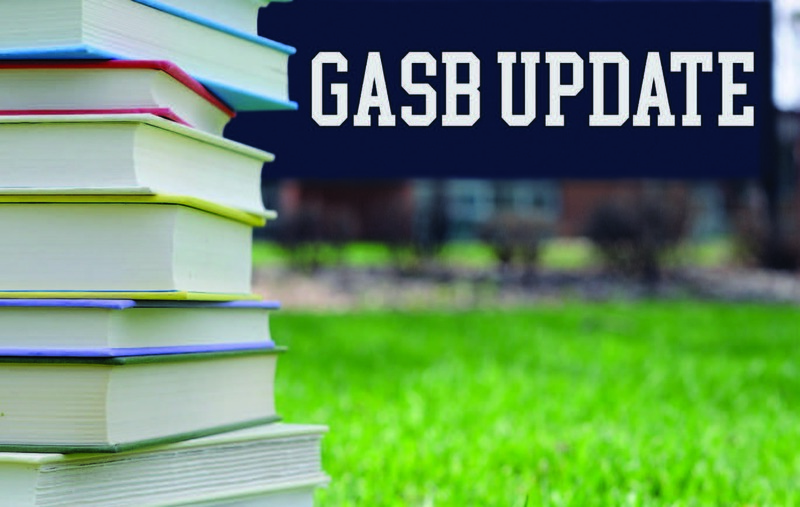 GASB Update - O'Connor & Drew P.C. GASB Statement 49, Pollution Remediation Obligations and do not apply under this pronouncement. This pronouncement is geared toward large and regulated industries such as nuclear power plants and sewer districts but may also be applied to retirement events related to buildings and land on your campuses. GASB Statement Number 84, Fiduciary Activities, effective for periods beginning after December 15, 2018, provide guidance for identifying fiduciary activities and reporting on them. Any fiduciary activity would be reported in the Statement of Fiduciary Net Position. An exception exists for business-type activities (the reporting model for public higher educational institutions) which may report the assets with a corresponding liability in the Statement of Net Position; if normally the funds will be held for three months or less. GASB Statement Number 87, Leases effective for periods beginning after December 15, 2019, will change financial reporting whereby leases that were considered operating (before the implementation of GASB 87) will be capitalized. GASB has made the following definition of a lease broad to ensure that all possible contracts would be recognized as lease. After the lease has been identified, it is important to identify the lease term. The lease term covers not only the period in which the lessee has a noncancelable right to use an underlying asset but it also covers any options that either the lessor or lessee have to either extend or terminate the lease if it is reasonably certain that the option will occur. The length of the lease term is reviewed not only at the lease inception date but also when an event occurs that could change the lease term. For example, the lease term would be examined when a lessee declines an option to renew a lease when it was previously considered reasonably certain that the option would be renewed. For the lessee, a “right to use” asset and the related lease liability will be recognized on the Statement of Net Position that represents the present value of the future payments expected to be made during the lease term. The interest rate used for discounting the future lease payments should be the interest rate contained in the lease or the lessee’s estimated incremental borrowing interest rate if the contract is silent on an interest rate. The “right to use” asset will be amortized over the shorter of the useful life of the asset or lease term. An exception to recognizing leases under GASB 87 are lease terms less than twelve months and leases that are immaterial to the financial statements. Possible areas of leases not currently capitalized are off-campus space not owned by the institution and the leasing of heavy equipment or vehicles. For the lessor, a lease receivable and a deferred inflow will be recognized based upon the present value of the future payments expected to be received during the lease term. The deferred inflow will be amortized as revenue over the lease term. The lessor will continue to report and depreciate the asset. We recommend that institutions begin accumulating a list of all leases that are in existence and evaluate them for their possible future treatment. Many institutions’ purchasing departments may not be aware of the consequences of entering into leases in the next few years and constant communication with them is necessary to facilitate a smooth GASB adoption. GASB Statement Number 88, Certain Disclosures Related to Debt, effective for periods beginning after June 15, 2018, enhances disclosures for debt. This pronouncement requires unused letters of credit, assets pledged as collateral for debt and information regarding events of debt defaults, termination of debt agreements and/or acceleration of payment clauses to be disclosed. GASB Statement Number 89, Accounting for Interest Incurred Before the End of a Construction Period, effective for periods beginning after December 15, 2019, requires that interest cost incurred before the end of a construction period be recognized as an expense in the period in which the cost is incurred for financial statements prepared.